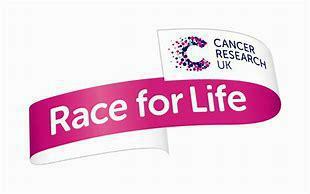 Don't forget we have our 'Race for Life' event tomorrow, with the picnic from 12.30pm and the run starting at approximately 2pm. Children have been invited to wear sporty clothes to school tomorrow for a 50p donation to Cancer Research UK which we will collect in the morning. Please can children also bring in their completed sponsorship forms for this very worthy cause. Parents are welcome to join us for the picnic on the field and/or to run with their child, let's hope for some nice weather!